Coq au vin is a classic French dish. It is chicken cooked in wine. The chicken is typically braised in red wine, lardon, mushrooms and shallots. It is a slow cooking rustic dish, and I had this once in a cafe in France. Although this dish is typically cooked in red wine, many regions of France have variants of coq au vin cooked in local wine. Australian chef Bill Granger has cleverly adapted and twisted this classic to his style of cooking, simple and straightforward. I highly recommend this dish to you if you like tray bakes like me. This cheat version has all the flavour of a classic coq au vin though the taste is different. This is a dish you want to cook for a fuss free entertaining at home. You eat this with baguette to sop up the juices and it is good with potato mash. 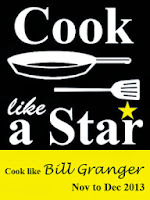 The Creme Fraiche Mash, also by Bill Granger is another mash recipe you might want to try. If you never whip your mashed potatoes, you ought to try whipping it with hot melted butter and milk. The mash is so much lighter, smoother and creamier. Preheat oven to 220C. Arrange the chicken pieces in a large roasting tin and scatter with the bacon,shallots,thyme,rosemary and chilli flakes. Season to taste, with sea salt and freshly ground black pepper. Drizzle the contents of the roasting tray with two tabelspoon of the olive oil and roast in the oven for 20 minutes. When the chicken has been roasted, add the wine to the tin and cook for another 20-25 minutes. Remove from the oven. Heat the butter and remaining tablespoon of oil in a large frying pan over a medium heat. When the butter is foaming, add the mushrooms and garlic and fry for 33-5 minutes. Tip the mushrooms and garlic into the tin and scatter with the parsley. Meanwhile, for the creme fraiche mash, boil the potatoes in a pan of salted water until tender. Remove from the heat, drain well and return to the hot pan. Heat the milk and butter in a smal pan over a medium heat, until the butter has melted (do not allow the mixture to boil). Beat the hot butter and milk into the potatoes, then fold in the creme fraiche or cream. Season to taste, with sea salt. Mich of Piece of Cake and Yen of Eat Your Heart Out. Peter had asked the Lord Jesus how many times he should forgive someone who has sinned against him. To answer his question, the Lord Jesus told the Parable of the Unmerciful Servant. The king showed mercy to his servant who owed him a huge debt, but the servant was unforgiving of his fellow servant who owed him a small debt. God commands us to forgive our brothers seventy times seven (countless). We must forgive others as God has forgiven us. We must forgive them again and again, just as God always forgives us when we confess our sins to Him. As Christians or followers and disciples of Jesus Christ, we are a forgiven people;we have experienced God's forgiveness for all our sins ;we must therefore be forgiving to others. If we have experienced God's mercy and grace; we should then experience a transformed heart that is full of mercy and grace to others. That is why we must be forgiving towards those who have done us wrong and hurt us; that is why we must keep on forgiving them. 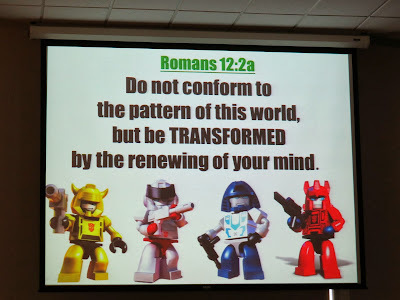 That is what it means to be transformed by God. 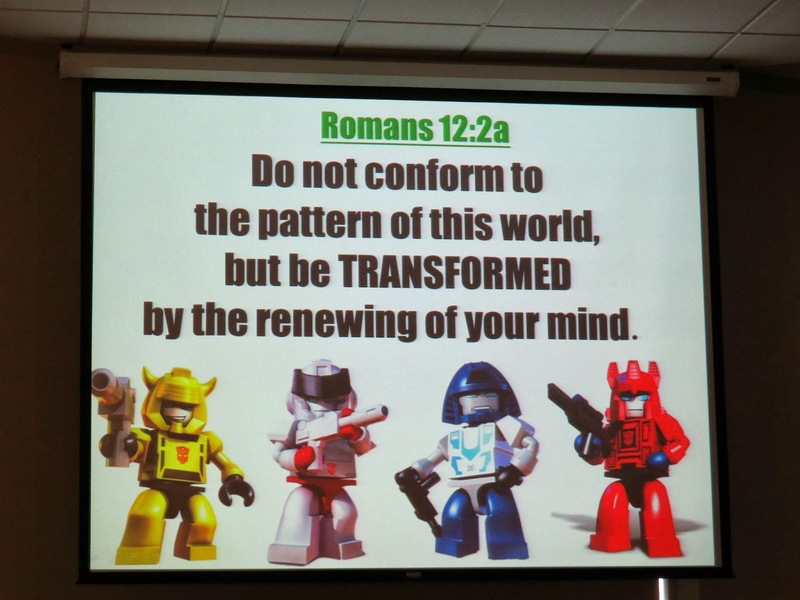 So let's forgive others and be TOTALLY TRANSFORMED! Hi Yen, Love the season! This looks delicious! We love tray bakes, and this definitley looks like one my family would enjoy! Hi Joyce, great to know you like tray bakes too! This is on my list! A white (deco) only Christmas Tree! This is my new tree, Emily. The old one lasted 25 years! Yes Zoe, I am counting down to the holiday season and strangely I am always away during the Christmas season! Wow! This is definitely one of the dish for Christmas. This chicken dish looks absolutely delicious and flavourful.